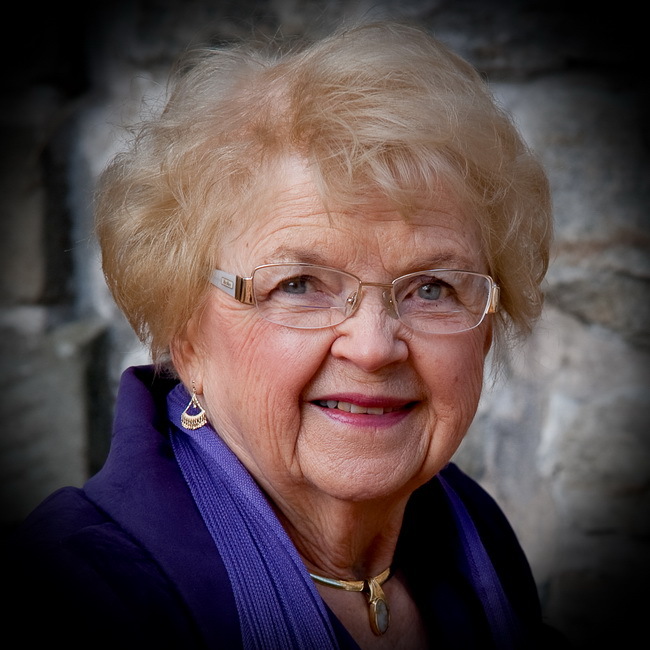 Thérèse Martin Gaudet, born in Montreal, Qc, on September 26, 1926 and passed away on March 1, 2013 in Gatineau, Qc, at the age of 86, having spent 63 years in Prince Albert, Sk. She was the spouse of the late Dr. Edmour Gaudet and the daughter of the late Edouard Martin and of the late Eliza Rocheleau. She was predeceased by one sister, four brothers and her son Paul. She will be sadly missed by her children: Elaine (Wayne, Mikaël, Nadine, Rafaël, Alexi), Louise (Misha), Sylvia, Raymond (Kelly, Adrien, Danielle), Robert (Angela, Elisa) and Marc. She is survived by 3 sisters-in-law, some 75 nephews and nieces as well as numerous friends. Therese was born the youngest of 6 children to a merchant father who died when she was 16, prior to the availability of antibiotics. She did post secondary studies as a commercial secretary and worked briefly for the Oratoire St-Joseph, in Montreal, Qc, before working for Pierre des Marais, a Master Printer, in Montreal. She met her future husband Edmour J. Gaudet, an Officer returning from the war in Britain. They were engaged as he was studying dentistry at Montreal University. After they married in June 1949, Therese and Edmour drove across the country, arriving in Edmour’s home town of St-Isidore de Bellevue, in October 1949, before setting up in Prince Albert just as winter settled in. Her first year was difficult, missing her mother and the big city she cried every day. She persevered as she found the vibrant Francophone community in Saskatchewan. With the strong determination and convictions from her parents, she proceeded to: raised a family, nourished and organized French education in Saskatchewan, was a driving force in provincial cultural activities, was creative as a weaver and a member of a nationally travelling choir. She became a pillar in the community. She raised a family of 7 children with her husband. Three girls followed by four boys over a 17 year period. With no French education available, she started by organizing the first French kindergarten in Prince Albert. She spent the next 2 decades working for francophone education rights, as well as the rights to public transportation to school. She often espoused: “even if we won something, we have to keep on fighting, we can’t ever stop”. 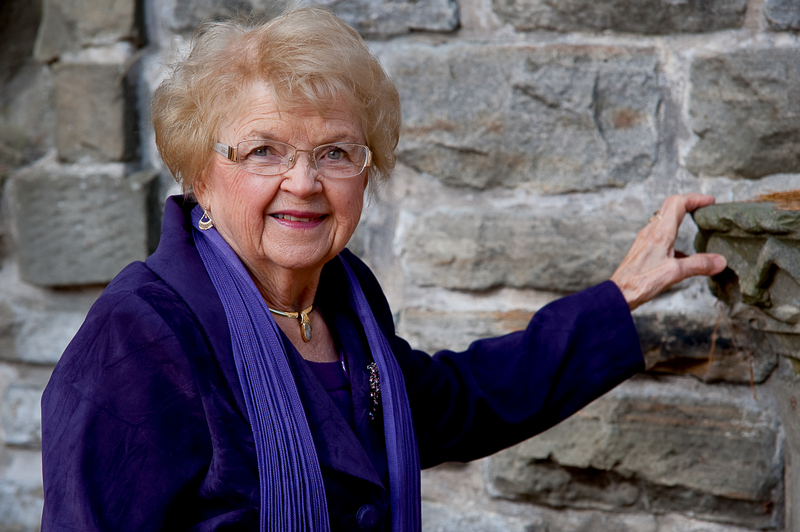 Her work culminated with primary and secondary education in French available in 14 communities across the province. In 1978, she was the first president of the “Comité Consulatif de la Langue Officielle Minoritaire”, which started 5 years of work with the Official Language Minority Communities.
. After losing her middle child, Paul, in 1979, she started 2 decades of creativity with her involvement with the Spinners and Weavers Guild in Prince Albert. She took numerous courses, including numerous courses at the Emma Lake Art Camp and participated in numerous exhibitions as well as winning first place for a number of her works. In the 1980’s she helped found and toured with the French choir “Entr’Amis”, culminating their 20 years of performing with a series of recordings and singing on Parliament Hill, in Ottawa, on Canada Day. After her life partner and husband passed away in 1997, Edmour was a practising dentist on Central Ave for 50 years with whom she travelled to 1/3 of the countries in the world, Therese moved to River Street to enjoy the condo life. She was a voracious reader, consuming 200 books a year, as well as newspapers and periodicals. When requiring further care, she moved to Gatineau Qc, where she was surrounded by 5 of her children, for the last 8 months of her life. She won numerous first prizes in weaving. She was appointed as a member of the “Compagnie des Cents-Associés francophones” in 1980. She received the 2004 Saskatchewan Award for Culture. She was an ardent catholic, living a block away from the Sacred Heart Cathedral for 5 decades. She started and ended everyday while holding her mother’s rosary and saying prayers for her family and friends. Ever elegant, always true, she was a champion. Never one to voice a negative opinion, or to criticize, condemn or complain. She was eager to encourage and support. She listened and had a massive amount of empathy. She is missed. A celebration of her life and religious ceremony will take place at the Sacred Heart Cathedral, Prince Albert, Saskatchewan, on Monday May 20th, 2013, at 1 PM. In lieu of flowers or memorials the family requests that a donation can be made to the Sacred Heart Cathedral Renovation Fund.